300,000 readers of Condé Nast Traveler have spoken. 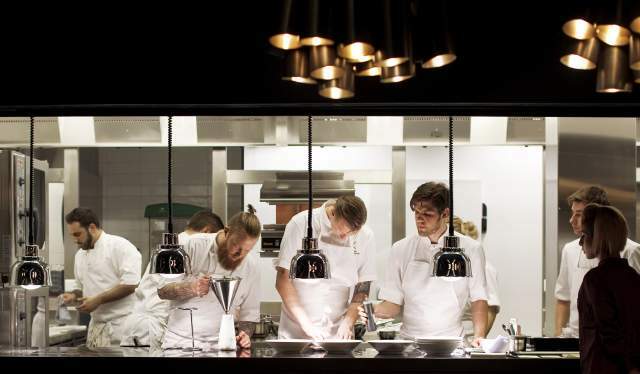 They have named The Thief, located at the hip, recently developed Tjuvholmen in Oslo, the very best in hotel Northern Europe. “The most spectacular achievement by a Norwegian hotel ever”, the Norwegian hotel owner Petter Stordalen says to the website E24 (article in Norwegian only). It was widely believed that Stordalen took a gamble when he opened Oslo’s first high-end design hotel in 2013, but now 300,000 readers of the American travel magazine Condé Nast Traveler have stated once and for all that the gamble paid off. In fact, they have voted the hotel the best in all of Northern Europe. The runners-up are much older and revered luxury hotels such as Hotel d’Angleterre in Copenhagen and Grand Hôtel in Stockholm. Condé Nast Traveler is quite a prestigious magazine, specializing in luxury and lifestyle travels. The magazine’s founder coined the motto “Truth in Travel,” which declared that travel industry freebies would not be accepted. It is published by the same company that owns magazines such as The New Yorker, Wired and Vanity Fair. In other words: This is quite a recognition for The Thief, though they have received several international awards before as well. Now, the management at the hotel promises they will work extremely hard to develop their concept even further. A lot of new hotels will be built in Oslo and Norway over the coming few years, and it’s no time for them to rest on their laurels. Petter Stordalen believes that The Thief is responsible for attracting a whole new audience to Norway. “There’s no doubt in my mind that the introduction of The Thief made it more attractive to a more affluent group of travellers, that perhaps wouldn’t have considered going to Oslo a few years ago”, Stordalen says to E24. He points to the fact that 73 per cent of The Thief’s guests are coming from abroad, which is unusually high for a Norwegian hotel. Designed by Mellbye Architects, The Thief is located almost next door to the new Astrup Fearnley museum of modern art. You will find a lot of modern art at The Thief, as well: There’s an Anthony Gormley statue in the lobby, Julian Opie video installations in the lifts, while an Andy Warhol overlooks diners in the restaurant. The restaurant, Fru K, serves contemporary Nordic dishes, while the view from many of the 119 rooms over the Oslo fjord is a great sight to wake up to. Want to see more? Here is a nice, short video tour.